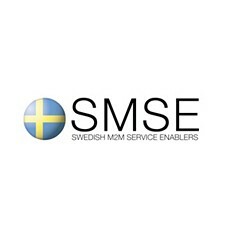 With CSL Connect joining the Swedish M2M Service Enabler alliance (SMSE) it now counts 14 members and 5 sponsors. SMSE has together with Business Sweden entered into a bilateral partnership with M2M Alliance in Germany. Info24, Possio, Maingate, Springworks, Infracontrol, Fridat, Vinnter, WSI and B3 Connect Compute will participate in a joint Swedish pavilion at M2M Summit in Düsseldorf September 10 and several of the members have speaker and panel opportunities at the event. “Collaborating with the biggest M2M Industry organization in the most significant M2M market and at the most important M2M event in Europe is a fantastic opportunity for our alliance members”, says Magnus Melander. “We are determined to make Sweden the obvious place to go to for specialized M2M Service Enablement solutions”, concludes Melander.